Acer palmatum 'Atropurpureum' is a lovely Japanese Maple that has elegant deeply lobed, purple foliage throughout the spring and summer. In the autumn, the foliage turns vivid crimson red, creating a wonderful seasonal canvas. Unusually, 'Atropurpureum' will show differences in leaf size and shape from plant to plant. Providing vibrant colour for most of the year, Acer palmatum 'Atropurpureum' is a fantastic choice and does best when planted in a sheltered position avoiding heavy, waterlogged soils. An approximate height and spread of 4 x 4 metres in 20 years can be expected from this bushy Japanese Maple. 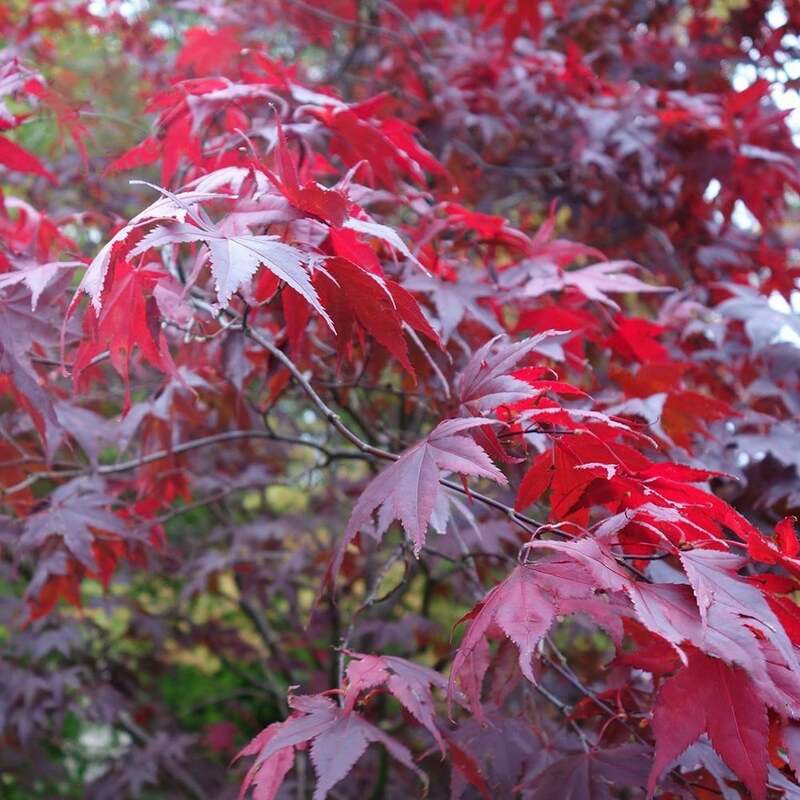 Pot grown Atropurpureum Japanese Maples can be planted at any time of the year. Firstly, remove all weeds and grass within a metre of your desired planting hole then dig a square hole as deep as your root mass and approximately 2x as wide. To help your tree establish more effectively, we advise sprinkling root grow in the hole, especially if you have poor soil.